Greetings and welcome to the SEI Blog! 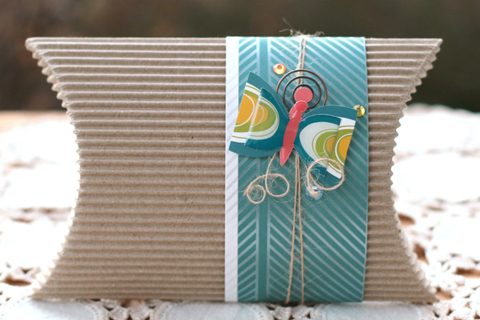 It's Rhonda here today to share a sweet little gift box that is gender neutral and quick to create. I love the new Florets collection as it has beautiful colors and fresh designs. One of my favorite elements in the collection that I have been "saving" (ahem... hoarding?!) are these cute butterflies! I trimmed a strip from of the papers in the collection has a variety of strips in various colors. I chose the blue, trimmed it to wrap around the box, then tied a bit of twine and curled the tails. Next, I topped it off with my Butterfly Sticker adhered with foam squares. I then layered one more of the epoxy butterflies on top. 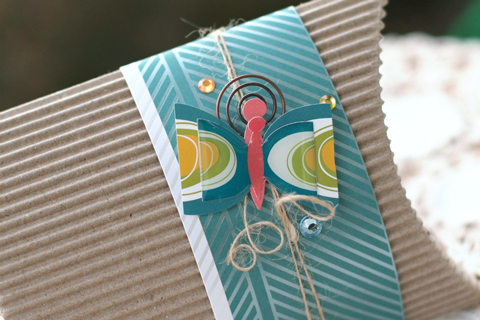 That cute circular paperclip was a fun way to add some texture and a few gems from the Sundries pack were perfect finishing touches to complete the packaging. Thanks so much for stopping on over today for a visit.